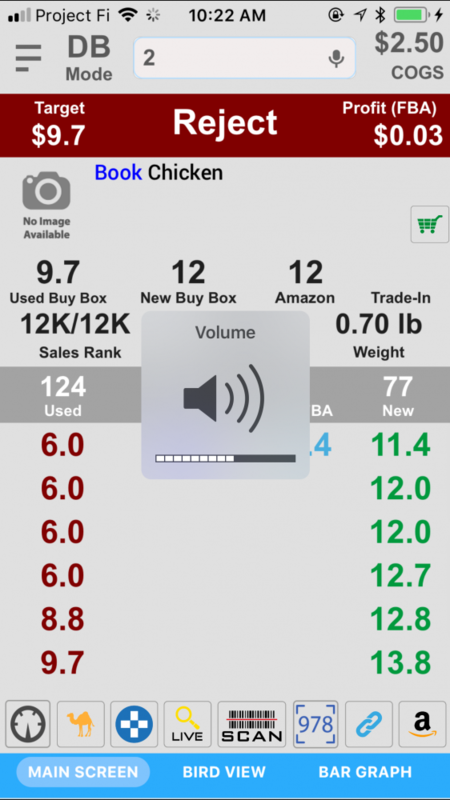 The app can play an audio clip to tell you if the item is worth buying or not. It can also tell you the price. This will allow you to use a Bluetooth scanner and headset to scan an item, then listen to the sound to make the purchase decision without looking at the screen. This way, you can go through items quickly and with less work. When an item is scanned once, the program will play an adjustable buy/reject audio cue, based on Basic or Advanced Triggers. You can also use Vibrate as an audio cue. When you scan the item a 2nd time, you will hear the price. This cue is adjustable as well. 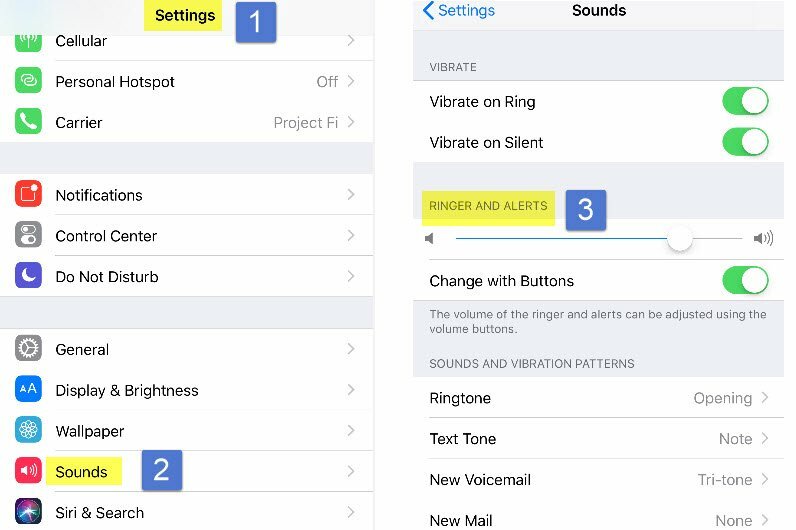 See this link to learn how..
Move the Ringer and Alerts slider to adjust audio cue volume. Enter the same item twice to hear the voice cue. Press up/down buttons (locate on the left side of the iPhone) to adjust the voice cue volume. 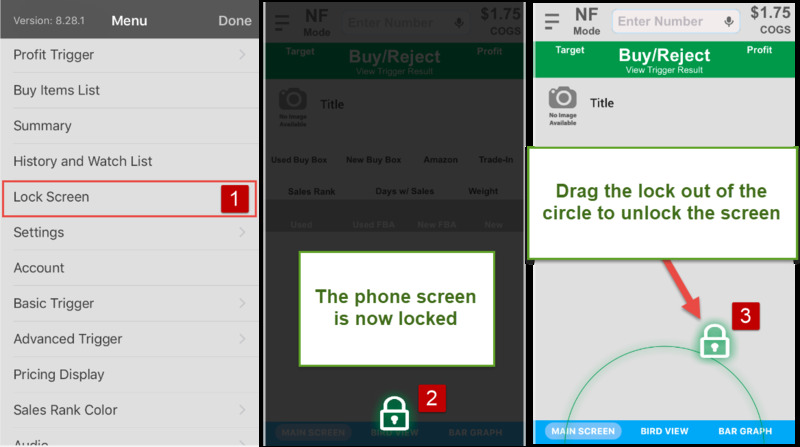 If you put your phone in your pocket, you can enable the lock on the phone screen, so you can still use the app without accidentally pressing any unwanted buttons (Menu -> Lock Screen).